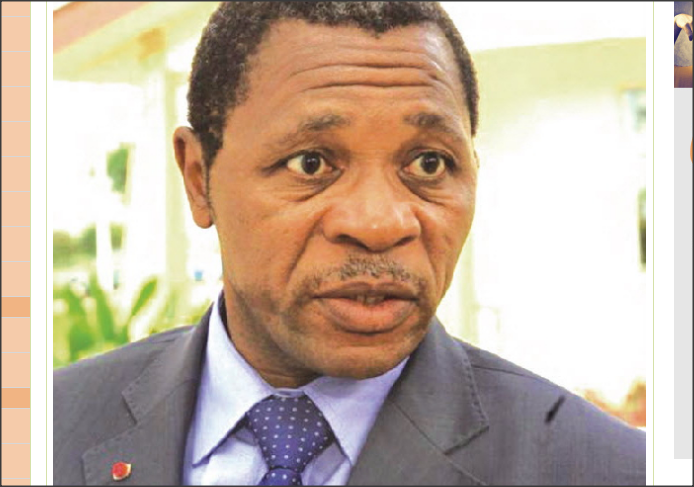 The Northwest chapter of Cameroon’s Association of English Speaking Journalists, CAMASEJ, has called on its members to give a media blackout to the visit of Cameroon’s Minister of Territorial Administration, MINAT, Paul Atanga Nji. The decision came on the heels of Atanga Nji’s planned visit to Bamenda, Chief Town of Cameroon’s Northwest Region. In a release, made public on March 21, CAMASEJ lamented that, prior to the minister’s visit, a recorded message was produced by General Agha Robinson, and media houses in the Divisions were called upon to broadcast as many times as possible, so as to be given a special place in the minister’s press briefing. 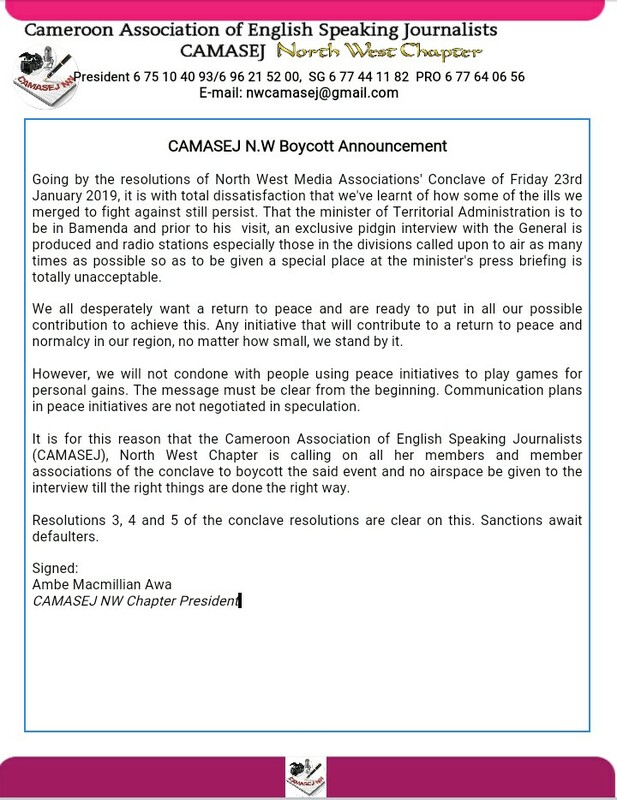 This practice according to CAMASEJ is in total contradiction to the resolution of the Northwest media associations’ conclave of Friday 23th January 2019. In conclusion, the journalist’s association after chronicling their grievances wrote that “it is for this reason that the Cameroon Association of English Speaking Journalists (CAMASEJ), Northwest Chapter is calling on all members and member associations of the conclave to boycott the said event and no airspace be given to the interview till the right things are done the right way.” The statement also warned that sanctions will be meted on members who disregard association’s decision. I simply want to mention I’m beginner to weblog and seriously loved this page. Most likely I’m want to bookmark your website . You actually have fabulous articles. Many thanks for sharing your web site. I would love to have the ability to label blog sites I like as well as have them show on my web site. Any kind of suggestions on the most effective path to take on this. Any kind of input would be practical.